Sturdy Memorial Hospital will be holding a Blood Drive in partnership with the Rhode Island Blood Center on Thursday, June 11, from 7:30am – 4pm in the Hospital Auditorium. Each donation you make can treat up to three people and will help alleviate the region’s seasonal blood shortage. While emergencies and disasters capture the attention of our community and prompt people to respond by donating, the need for blood donations is ongoing. Donating regularly is something we can do to ensure blood is always available the instant it is needed, and for people who have cancer, blood disorders, sickle cell anemia, and other illnesses, as well as those who need regular blood transfusions to live. A “Be The Match” bone marrow registry will also be held at the drive. To register to become a bone marrow donor and have your information in the “Be The Match” registry, you must provide a cheek swab sample, and fill out a consent form, which consists of basic contact information, alternate contact information, and some medical evaluation questions. All donors will receive refreshments and be entered in a raffle. To schedule an appointment for the Sturdy Memorial Blood Drive, please call 508-236-8555. 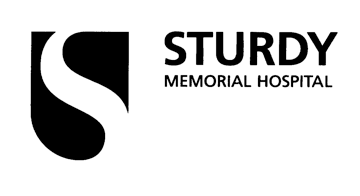 Sturdy Memorial is committed to bringing in at least 58 donors for the Blood Drive. Donors need to be at least 17 years of age and at least 110 pounds, and the process takes approximately one hour.